Four people who were arrested in connection with the death of a young Crawley father have been arrested again, police have said. 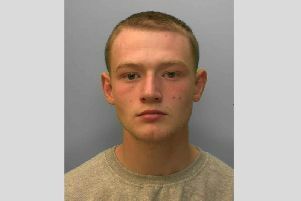 Sussex Police said Sam Caulfield suffered serious stab injuries at an address in Spencers Road, in West Green, on Saturday June 20. The 20-year-old, from Mayfield in East Sussex, was rushed to hospital but died shorty after, officers added. Two men and two women were arrested after Sussex Police said that they had launched a murder investigation into Mr Caulfield’s death. They were due to answer bail next Tuesday (August 9). Police said a 20-year-old man from Cambridge, a 24-year-old woman from Horsham and a 23-year-old woman and a 20-year-old man, both from Crawley, were all arrested on Thursday (July 28) on suspicion of murder, perverting the course of justice and possession of a Class A drug. They have been bailed until November 17 whilst investigations continue, officers added.